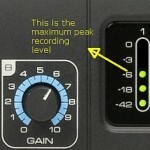 Tags: Noise in recording, Recording newbie guide. Pre-amp is a very important recording equipment. 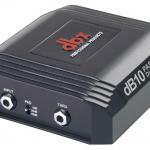 Yet a lot of beginning musicians are not using pre-amp during any home recording session projects. 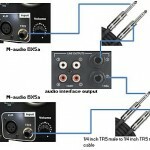 They simply plug the microphone output or guitar output to any inputs of their mixer or audio interface/soundcard without checking if that input includes a pre-amp. If you do not know what is pre-amp, it is a piece of hardware that will amplify weak microphone or instrument signals to a line level signal. For details about these terms, read this tutorial on the difference between Line, Instrument and Microphone Levels. Even though the signal is now strong, the signal to noise ratio is still the same as before. Having a strong but noisy signal is still not enough for quality recording. One of the technical reasons why you should be using a pre-amplifier is to improve the signal to noise ratio and then apply a lot of gain to convert the weak microphone or instrument signal to line-level signal. Pre-amps work by isolating the noise from the signal; and then boosting the signal to a line level output without adding another set of noise, coloration of the signal, etc. It is why you need to be careful when selecting pre-amps. Not all pre-amps are designed for home recording or not all of them can have great sounding results. 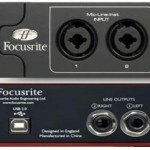 Do your research for pre-amps that sounds very clean, very low noise and affordable. You can ask in the recording forums. The result is that the recorded signal from the microphone (e.g. vocals) is clean and strong. If you are recording in 24-bits, the entire possible dynamic range can be filled with the vocal signals and free of noise. Subjectively, if you listen to this vocal recording in your studio monitors; the vocals sound full from top to bottom frequencies and very clear (no hiss, no noise).